Editor’s Note: The following is Bill Haltom’s column for this month’s edition of the Tennessee Bar Journal. It is reprinted with the permission of the Tennessee Bar Association. Unless you are a divorce lawyer, February is one of the best months of the year. That’s because right smack in the middle of the year’s shortest month comes a day for lovers … Valentine’s Day! It is a day when even President Trump may be tempted to sweetly tweet “I Love You” to his latest wife. 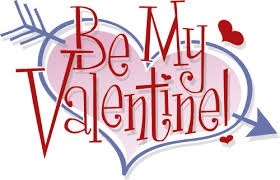 If, like me, you are blessed to have a valentine, it is a day to shower her or him with flowers, candy, teddy bears, pajamas, and other heart-warming gifts. If you don’t have a valentine, here is my advice to the lovelorn: Find a lawyer. We make the best valentines. I know this for a fact because for the past 35 Februarys, my valentine has been a lawyer … a beautiful lawyer named Claudia. She is in fact the most beautiful lawyer in the world. I love the law, but I love the lawyer even more. And don’t just take my word for it. Many of America’s leading authorities on romance agree that lawyers make the best valentines. While those are five compelling arguments, I have my doubts about the accuracy of the first one about lawyers always being “well-mannered.” I have witnessed way too much evidence to the contrary. 10. Lawyers have good memories – or at least good notetaking skills. 11. Speaking of notetaking, there’ll be plenty of free legal pads lying around. 13. Lawyers are eloquent, articulate and very insightful. Again I have doubts about a few of these, especially number 5, as many lawyers I know are in fact charm-challenged. Nevertheless, my own experience over the past 35 years confirms the advice of Cosmopolitan and eHarmony. It’s great to love the law, but it’s even better to love a lawyer, so if you don’t already have a valentine, find a smart, attractive, clever lawyer, and send them this message: Be my Valentine! photomath online: Every now and then, an app comes along that combines two existing technologies in a way that just makes sense. PhotoMath does just that, utilizing your smartphone's camera to quickly solve math problems.photomath online PhotoMath only works with printed text, so unfortunately it won't be solving your scribbles anytime soon; you'll need a printed sheet of paper or a textbook. Online Assignment Help: Hello there! Its really awesome post and very useful to the all students. Write My Essay: Really I welcome the exertion you done to share the data. The point now I discovered continue powerful to the issue which I kept investigating for quite a while you can likewise get help through Writing thesis administrations . a debt of gratitude is in order for sharing that is post. The Academic Papers: It looks like an interesting answer but I think that having a lawyer as your valentine, your life can be full of inspiration but with full of debates also. UK Dissertation: There are various views as to the foundation of Valentine's Day. A few specialists express that it began from St. Valentine, a Roman who was martyred for declining to surrender Christianity.